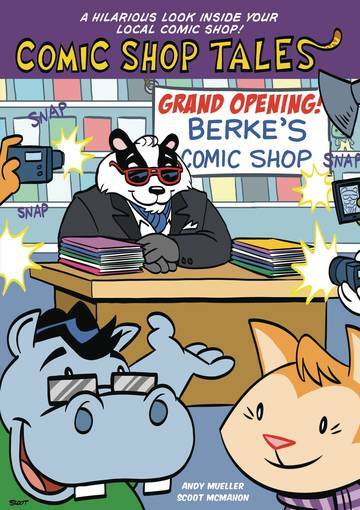 It's all work and lots of fun at the fictional Berke's Comic Shop, where owner Berke the Badger tries to keep his crazy band of comic shop goers and employees like Phil the Hippo and Kit the Cat in order! 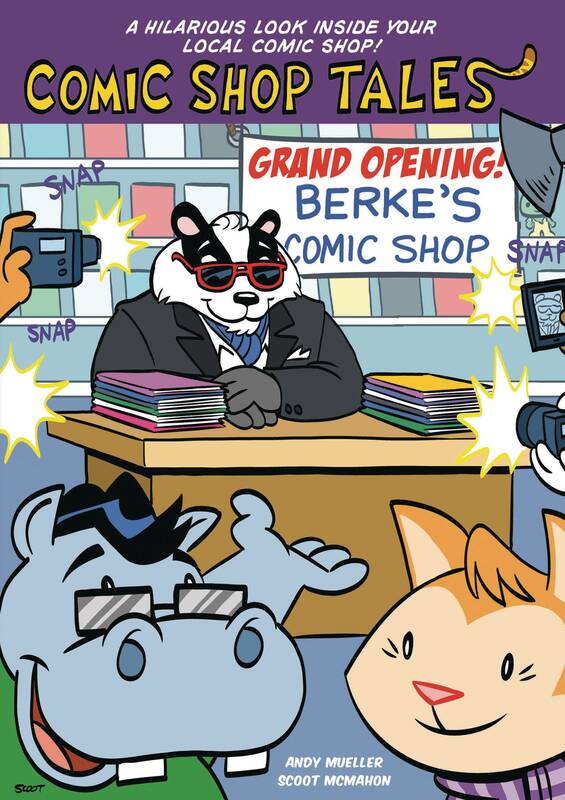 It's a comic shop full of surprises! This 64-page book collects the madcap comic strip adventures as printed in the PREVIEWS catalog and single gag strips from PREVIEWSworld.com..